Scream Sorbet (Oakland, CA) closed up shop, but a pint of their delicious sorbet, lives on in my freezer. Or, it did, before today. Scream Sorbet made some of the finest "ice creams" I've ever tasted, loaded with high-quality, fresh-tasting ingredients. It was creamy and rich -- only there was no cream or milk in these sorbets, just pure flavor. I'm guessing there was some special equipment involved that helped create this silken smooth texture. 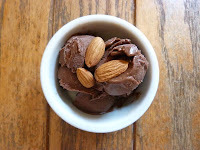 I savored every bite of the company's Chocolate and Almond sorbet this morning. It was made with "water, organic Inzana Ranch almonds, Ciranda cocoa powder, sugar and sea salt." Occasionally I'll get sucked into an intense tasting experience, where the rest of the world seems to fade away somewhere in the background. This was one of those times. 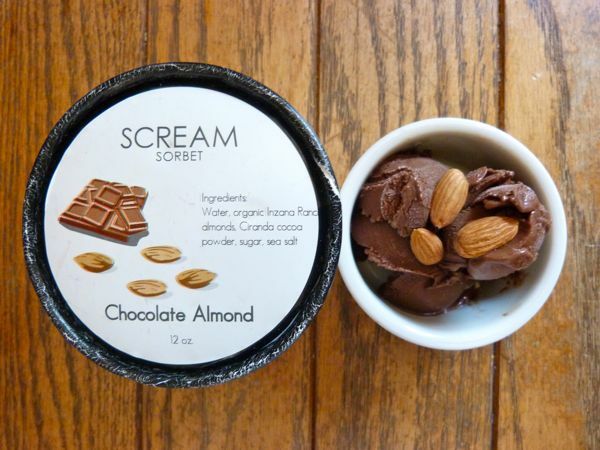 Thank you Scream Sorbet. Hope to see you again one day.